How should you be incorporating TV Extension into your media campaigns? The future is here, and it’s distracting. 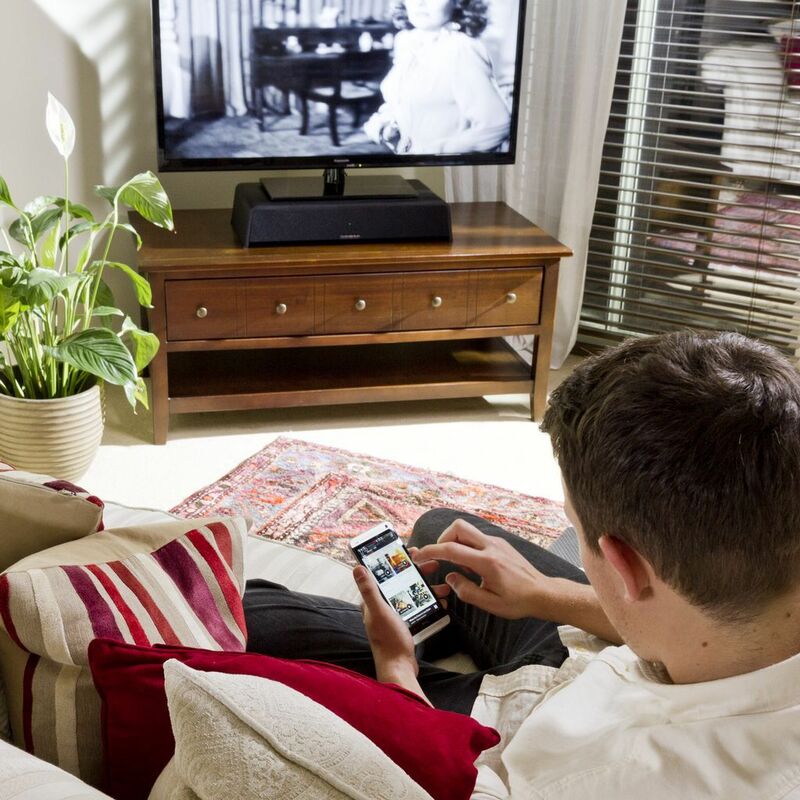 Eighty-seven percent of your customers use a second screen as they watch TV. Whether it is their smartphone, tablet, game console, eBook, or laptop, their attention is not completely on their TV. In fact, the average attention span has now dropped to 8 seconds, which is less than a goldfish, highlighting the importance for brands to reach their customers across multiple screens. Currently, the majority of brands attempt to reach their audience by running different advertising campaigns across a variety of channels. The difficulty lies in the intersection of these campaigns. Nielsen stated in their Total Audience Measurement Report that only 7.6% of the intended audience were reached via both TV and online. To fully utilize advertising spend, brands need to bring these channels together. The big question is, how? The percentage of your target audience that is reached across multiple platforms needs to increase. Every consumer is unique and they each have preferences for different media channels. A 25 year old sports fanatic is going to prefer watching live sports on TV than an 18 year old gamer, who would prefer to watch gaming live streams on her laptop. These consumers will be more receptive to different messages on different platforms. Understanding this will enable you to improve response rates and uplift for your campaigns. While the introduction of additional screens has changed the viewing experience, consumers are also changing how they are watching TV. Streaming services such as Netflix and Hulu have driven consumers to ‘cut the cord’ and get rid of their cable provider. People are no longer willing to pay a premium price for a cable service; especially millennials who would rather binge watch an entire series of Stranger Things from the comfort of their beds. They want to watch what they want, on their time. Once it became clear people weren’t consuming TV content as they once were, a new solution was introduced: TV extension. TV extension is improving the capabilities of pairing TV consumption and advertising with various other channels. TV extension enables advertisers to reach their audience through smart TV’s regardless of how they are using their TV. By leveraging a user’s IP address, TV extension partners have the ability to reach viewers based on the TV shows they are watching, the streaming services they are using and even the gaming consoles they are playing in real time. There are currently 179M connected TV users in the US and this number is forecasted to grow steadily to 231M by 2018. While the ability to reach viewers across various devices based on what they are watching is a powerful solution for advertisers, the holy grail of TV Extension lies within its retargeting capabilities. As a key component of TV Extensions, brands now have the ability to see if their target demo is watching their ad on TV and retarget them with an ad on their second or third device. This enables advertisers to increase brand awareness, brand recall and ultimately move consumers down the purchase funnel. TV Extension provides advertisers the ability to sequentially message viewers across different devices as can be seen in the following example. A consumer is targeted with an ad on TV for a GoPro. They then receive an ad to watch a 360 video of a pro surfer using a GoPro on their laptop and finally they make a purchase after getting served a Facebook ad on their mobile offering them a 10% discount. This allows brands to reach their target audience across various devices and help move them down the purchase funnel. Platforms are interacted with differently, therefore the content provided to the consumer should be relevant to each platform. While TV drives awareness, mobile devices are better for driving consumers to do more research or make purchases. While TV extension can be utilized to improve online campaigns, it can also be used to improve the capabilities of TV advertising. Take audience discovery as an example. Brands have the ability to use the insights they have of their online audience to determine more accurately what these consumers are watching on TV. There is a long road ahead in order to fully integrate advertising campaigns across all platforms, however, the future looks bright. While TV is certainly changing, it continues to be an essential method for reaching consumers and maintains its position as a core component of any marketing campaign. Now that there are many more ways to consume media on TV, more unique opportunities to reach consumers will evolve.